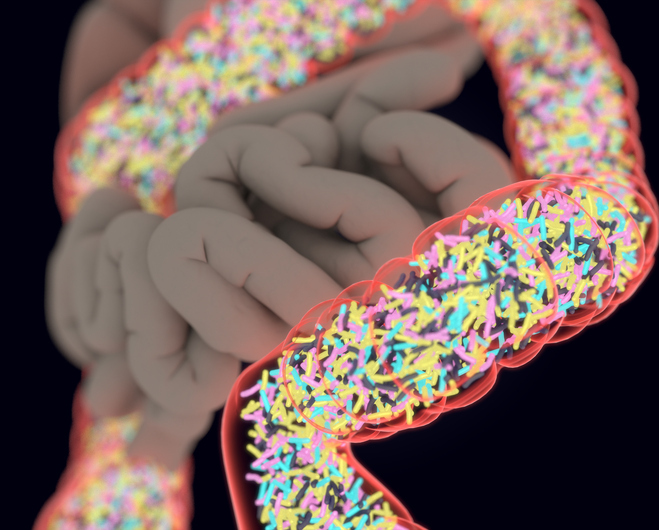 New data from members of the NIH's Human Microbiome Project (HMP) at the University of Maryland School of Medicine (UM SOM), Harvard T.H. Chan School of Public Health, the Broad Institute of MIT and Harvard, and the University of California San Diego have uncovered millions of previously unknown genes from microbial communities in the human gut, skin, mouth, and vaginal microbiome, allowing for new insights into the role these microbes play in human health and disease. Findings from the new study—published recently in Nature in an article entitled “Strains, Functions, and Dynamics in the Expanded Human Microbiome Project”—triple the amount of data previously analyzed in this project, and is the largest human microbiome study ever. The results are a significant jump in the amount of information available to scientists and should provide new insight into the changes in our microbiome over time—leading to a greater understanding of the genetic differences that are unique to an individual’s microbes. HMP set out to identify and characterize human microbes, explore microbes’ relationship to health and disease, and develop computational tools to analyze the microbes. The microbiome has been linked to various aspects of human health, including the robustness of our immune system and our susceptibility to chronic illnesses such as Crohn’s disease and cancer. The current study is a continuation of work published in Nature in 2012. The research team used DNA sequence analysis tools to identify which organisms are present in various body sites, determine whether they change or stay relatively stable over time, and explore their function. This study also provides one of the largest profiles of nonbacterial members—viruses and fungi—of the microbiome. In addition, it unraveled some of the biochemical activity that allows microbes to play a role in human health. “This study furthers our knowledge of baseline human microbial diversity and enables an understanding of personalized microbiome function and dynamics,” the authors concluded.